Ok, I'm not trying to beat a dead horse but despite some articles in the past on our site, I get the sense that there is still a lack of clarity in our industry, among armed citizens, about the idea of Shooting to Kill. Specifically today I want to address a common justification I see made by people, which is the idea that we should kill our attacker in order to prevent them from testifying against us or from filing a lawsuit against us. Here are three reasons why this mentality is bad. A majority of states now have laws that specifically protect you from civil lawsuits when your actions are legally justified. 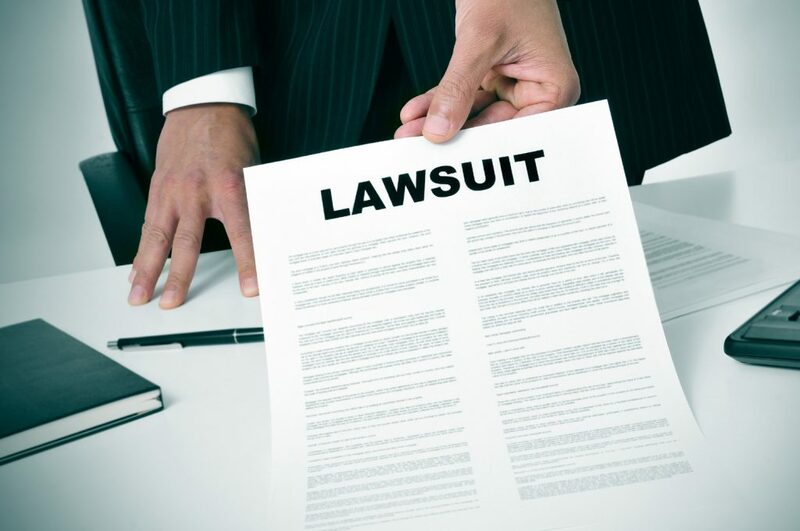 Since there were some instances of bad people suing good people several decades ago it became commonplace for states to pass laws that protect you from those lawsuits. The court shall dismiss the action for damages and award attorney fees and costs to the person against whom the action was brought if the person against whom the action was brought is found not guilty of criminal charges for causing the injuries sustained by the person who committed the felony or act that is defined as a felony. If you research this and talk to a local attorney I think you will find that your state likely has a similar provision. Times have changed and our legal system is more set up to protect the good people from the bad people than ever before. It is important to understand that dead people file lawsuits also. In fact, a wrongful death lawsuit is arguably more likely to be filed by a dead person's estate than a lawsuit related to one's injuries filed by a living person who survived your encounter. The families and survivors of dead people are left with a tremendous loss and if they sense there is any possibility they could recover cash by filing a lawsuit they probably will do so. Contact a local attorney that specializes in estate law and ask them how common it is for the estate or living will of a dead person (including criminals) to file lawsuits. I'm not saying it happens all the time but I am suggesting it can happen and it is just as likely for a dead person to file a wrongful death suit and maybe even more likely than a surviving living assailant filing a suit related to their injuries. Can you find and share an example from the last 10 years of any injured criminal filing a lawsuit and winning it against an armed citizen that was otherwise legally justified? If so please share the link in the comments below. For each of those stories you could find (and you will find it very difficult to find any at all) there is also a story of a dead person’s legal estate filing a lawsuit. My point? Alive or dead; the odds of your attacker filing a lawsuit are roughly the same and equally remote in today's legal climate. I believe the sanctity of human life to be more important than potential damages paid out in cash. I cringe a little inside when I hear someone say that they would rather not be in fear of losing money and have killed a human than to let someone live and risk paying out cash. Let us assume a worst-case scenario. I am threatened with death and decide I have to act to defend myself. I draw my firearm and injure or kill my attacker. I face a lawsuit from the injured attacker or from the estate of the dead attacker. I lose the lawsuit and am forced to pay out damages. Depending on how much money I have the dollar amount of damages I'll pay out may vary but it is probably fair to assume that for most of us we will payout whatever net worth we have. This is my worst case scenario. Are you willing to kill another human in order to prevent that scenario? Is your cash that important to you? I can't change your opinion or feelings on these attitudes but I can tell you that I don't feel that way. I would MUCH rather lose all my net worth and live knowing that I didn't take that person's life than to kill someone and have to live forever knowing that I took their life. I don't believe that I have the right (legally or morally) to decide if someone should live or die. Just in case there is any confusion … I'm NOT saying I'll go to any specific efforts to ensure I don't kill people. I'm not going to shoot at their legs and try to injure them. I will do the thing that is most proven to stop the threat against my life as fast as I can. That is generally to shoot at center mass where I have the biggest target and am most likely to physically disable the attacker. If I do that they might die and I'm willing to live with that but my intent and motive is pure and easy to sleep with at night knowing that my only intention was to protect myself or loved ones and NOT to kill another human. I've shared just three reasons why I think the specific argument of “kill them or they will sue you” is unfounded. There are a ton of other reasons why the general mentality of “Shoot to Kill” is a bad one. The leading of those reasons is the legal implication of having the intent to end someone's life … and that is something we address is some of the other below articles and podcast episode. Podcast Episode: Shooting to Kill – Were You Setup To Fail? Is It Smart To Say on Facebook That You'd Kill Your Attacker? Why Do We Use Deadly Force? Don't Want To Take My Word For It? How About This Attorney? To reiterate, I'm not advocating shooting to wound or to warn. If my life or the life of my loved ones is in danger of death or serious bodily injury I will do whatever is most effective to stop the threat. That will likely mean shooting my firearm so as to hit the assailant in the center of mass repeatedly until they stop their attack. I understand fully that might mean they will die and I'm comfortable with that reality. However, my intent, my motive, my desired outcome is only that the threat would be stopped and not that the threat will die. That is an important distinction in my book and certainly an important one to the courts. What do you think? Please share your feelings in the comments below! A good review on the proper mindset in a defensive shooting. We avoid situations as best we can and if we do have to defend ourselves we shoot to stop the threat as quickly as possible. If a liberal Judge gives your attacker a minute sentence than he may come after you. A cripple animal is more dangerous than a healthy animal. People are no different! One has to judge for themselves on the action to take. As a basic pistol instructor, I don’t focus on personal protection inside or outside the home. But we do discuss the fact that most students are in the course to get a concealed carry permit. What I do tell my students is that if they do choose to use their firearms for self protection inside or outside the home, they should definitely take personal protection courses. Also, I tell them to fixate in their mind this thought: “Never, ever shoot to kill.” Your focus should be to stop the threat.” The result may well be the same, but there are legal reasons to maintain that focus. I agree that this is a myth. I also suspect that any forensics and other data collected by the police will show if you go to extra lengths to ensure your attacker is dead; ie you put one in the head while the attacker is lying down. Investigators can measure all shot angles and other data to determine the position of the attacker for each shot and you don’t want to look like you are going beyond what is necessary. At the same time, I completely disagree with the human life vs my net worth. Frankly, I have spent my adult life to now earning my net worth. Nearly 30 years at this point of working, including 20 years in the service, saving, foregoing things in order ensure I have money in the future. If I am minding my own business and am attacked, defend myself and then sued by the attacker and he wins, that is no different than if he robbed me of all the hours of my life spent earning that money. Money is simply a representation of your hours of labor. Hours you can’t get back. For the same reason, I have no moral issue with shooting a burglar. He is attempting to rob you of possessions earned by hours of your life. Of course, a moot point since any action beyond stopping the attacker may well likely be be illegal. EVERY instructor I’ve had has said shoot to kill. They’ve also said shoot until the threat is neutralized. The Isrealies teach that the person is down to shoot at the base of the nose to severe the spinal cord to ensure the threat is neutralized. I remember in my early years hearing from several instructors if you shoot someone and they fall out the window, pull em back in. Carrying a LOADED concealed firearm is a massive responsibility. If you do not have the mindset of shoot to kill then you should not be carrying. Need an edit option, don’t see one on my cell phone. After reading through the article a couple more times I can understand what is being said and I should clarify my initial response, hence an edit button. Life is precious. We should hold life in the highest regard. Even in an armed conflict we should look for ways to remove ourselves from it. In Utah the law is clear: deadly force is justified if you believe there is an imminent threat of loss of life of yourself, a loved one or bystander. Of course finding ourselves in an active shooter scenario is becoming more common. Someone breaking into your home is already at the use of force level and if they have a weapon you can’t assume they are coming over for tea and crumpets. As I stated in my initial comment, carrying a LOADED firearm concealed is a big responsibility. Personally I know, and I’ve trained my family to know, that if I have to draw my weapon chances are someone is going to die. (Also in Utah it’s legal to brandish a firearm to deter a criminal act as long as you do not use it in an unlawful or threatening manner). In the dark, in the middle of the night with someone approaching your bedroom … you aim center mass … not for the legs or arms or somewhere in the general direction … a wounded assailant or an assailant that just saw the flash … if armed will return fire. How in all that is holy could you ever expect a homeowner … let’s say never served in the military to shoot to “wound”? The probability is great that unless he/she is using a shotgun that they will miss anyway. If the homeowner is a veteran or someone skilled in the usage of the firearm and or capable in life and death situations … I can almost guarantee that the “center” mass notion will be employed. Any person, in your home illegally is a definite threat to your life. Castle law in almost every state allows the usage of deadly force. Now, if that first shot wounded him/her and the threat is pleading for mercy … then call 911 and the police and keep a careful eye on the threat until they arrive. In my home, as I was taught in the military, I will always aim center mass. A dead threat cannot return fire. how in the world do you brandish a firearm without it being a threatening manner? I disagree with one aspect. My mindset is that I train many hours a week to shoot to injure and stop the threat. Never to kill. A good shot can hit a shoulder, leg, hip and take an assailent down. My Christian faith leads me to defend myself or those innocent who are danger. But not to kill. “Thou shalt not kill.” To reiterate, I train extra hard at the range to feel confident to wing. Another point that I can make is this … If an assailent is vested but I don’t know that, and shoot his shoulder, leg or hip I will still take him down in 1 to 3 shots. But if i shoot for center mass and hit a vest his return fire could take me out before I’m aware he is vested. We all know the first shot is the most important in a gun fight. This exact thing happened a few miles from my home in Antioch TN. At the church shooting 6 month ago. The vested assailant was hit in the side opening of his vest by a firearms instructor. He knew to go to the side and not the mass. God bless, I like your thinking! Dan, the misconceptions in your post are almost too many to address. There is no legal difference between shoot to stop the threat and shoot at center mass or anywhere else. Your chances of missing are much greater with your misguided “shoot to wing” approach. You need to restudy the tenets of your Christian faith. The commandment is mistranslated in your post, with the actual wording more accurately using the English word “murder”, as in the unjustified taking of an innocent life. I don’t care how hard you train – the range is not the real world, and your confidence is irrelevant when reality hits. It doesn’t matter whether the assailant is wearing body armor or not – if you hit center of mass with 1-3 shots, it is more likely that the full impact of those rounds will sufficiently stun the threat that you will be able to place a shot elsewhere if that is still needed to stop the threat. If someone shot a side opening in a vest, it was because the person was not facing directly at the defender, in which case that is the center of mass. You seem like a sincere person wanting to do what is right. Unfortunately, it appears you have thought this through by starting with flawed assumptions, then basing your entire defensive firearms strategy upon them. Start with getting excellent training from an accredited school that has a program crafted by people with actual event experience – preferably law enforcement, but military experience is better than armchair experts who watched a lot of action flicks on cable. Please, for your sake and that of those around you, do it soon. Wow…all above is fodder for thought!? Don’t forget to get INSURANCE such as from the NRA or Concealed Carry, etc., et al. A good investment to be made for legal backup and support! Worth every penny I would say. in Fla. a few yrs. ago. A good one to study and digest! As long as the threat remains standing, the threat still exists. You continue shooting until the threat is down, and then do a threat re-assessment, followed by the appropriate actions. Dan ,in the original ten commandments it was written ‘thou shall not MURDER” not, ‘thou shall not kill’. To murder another means a pre-determination of taking another’s life. Such as a violent home invasion, a forced break and entry a mugging, a car jacking, etc. You get the idea. Killing someone who has made it clear that they have no regard for you, your family, or your possessions, is a reaction for your self preservation and those you love. attacked you, you are the murderer and are to be held responsible. Thank god for the “Stand Your Ground Laws” and the ruling that the survivors cannot sue for damages, because it was the perpetrator who bought the injury or their death by their own actions. Because there was injury or death suffered by the perpetrator does not mean, and should not mean, the survivors hit the jackpot. Re-read Scott miller and GLKing. I do not fight to win. Rather I fight not to lose. You can make that conclusion from your observations if you choose but certainly, I promise police are not told or trained to shoot to kill. For a non-attorney this is surprisingly accurate and well-written. If you carry a gun because you might get a legal excuse to kill someone then you’re not fit to carry. Guns are defensive. They do not grant you police powers or make you judge and jury. The only thing they do is give you a tool to defend yourself. If you go beyond that you’re committing a felony in most states.